Lady and the Blog → Living → Featured → Why Can’t Everything In My Life Be “Mess Free”? Why Can’t Everything In My Life Be “Mess Free”? “Mess Free” to a mom is like magic. Pixie Dust if you will. Are you telling me that I can give my 4 year old daughter markers and there is no way that she will be able to write on my walls or couch? Ah-mazing. 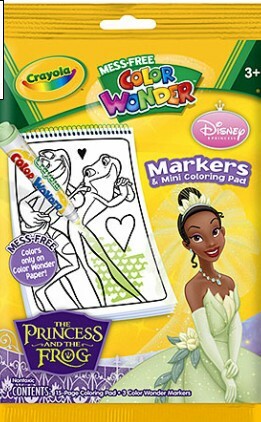 In order to celebrate the release of ‘The Princess and the Frog’ on DVD, Crayola created a branded “Mess Free Color Wonder” set dedicated to Princess Tiana. My daughter LOVES it. 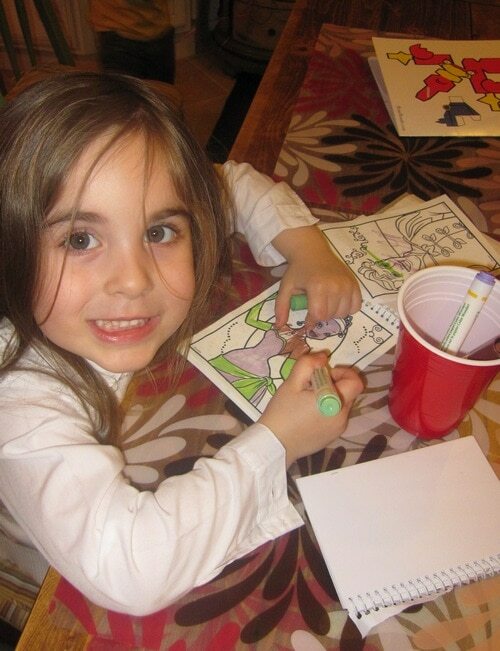 As soon as she gets home from school, Natalie grabs the markers and pad and gets to work. There are dozens of styles to choose from – from Cars to Nemo to Handy Manny. And for $5.99 it’s priced just right. I just might have to buy that for my 4 y/o. She loves The Princess and The Frog!